German chancellor, Angela Merkel wins fourth term – Royal Times of Nigeria. Angela Merkel has won re-election for a fourth term as chancellor of Germany. Her party CDU/CSU received 33% of the majority votes, the social democratic, SPD, won 20% of the votes while right-wing party, AfD, is expected to have the third highest return with 13.5%. 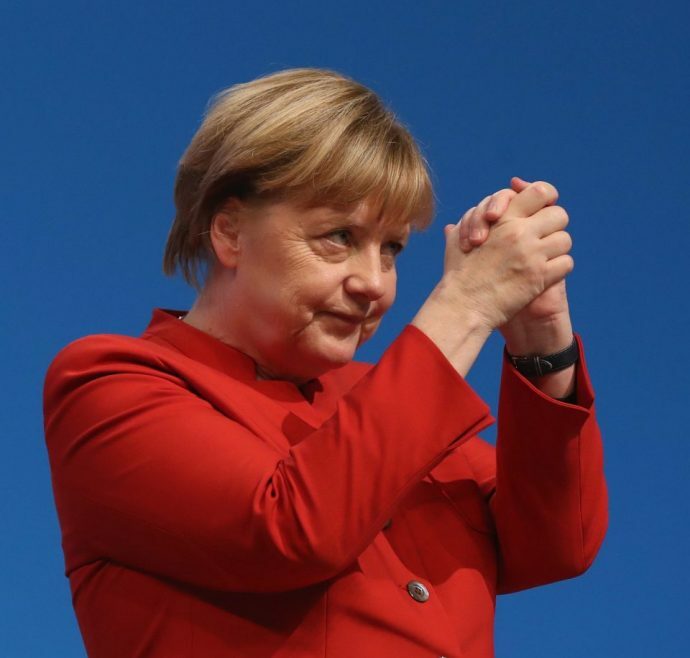 Merkel said, “The CDU would have hoped for better result, but we mustn’t forget – looking back at an extraordinary challenge – that we nevertheless achieved our strategic objectives: we are the strongest party. We have mandate to form the new government and we will form the new government. “We have had 12 years of governmental responsibility and it was not a foregone conclusion that we would be largest party again. But this was also an election that saw the arrival in parliament of the AfD. “We will conduct a very thorough analysis; we want to regain those voters who voted for the AfD, to discover their concerns and worries. We want to win back the AfD voters above all through good politics. South Korea and Japan welcome North Korea sanctions. Slave trade returns to UK?